In Episode 58 of the Super Podcast Action Committee, hosts Andrew Eisen and E. Zachary Knight talk about the GamePolitics polls, various news related to Naughty Dog’s “The Last of Us,” the Australian Classification Board’s first game ban under the new ratings system for games, and a whole lot more. Download Episode 58 now: SuperPAC Episode 58 (1 hour, 9 minutes) 64.9 MB. In Episode 51 hosts Andrew Eisen and E. Zachary Knight talk about the possible name of the next Xbox console from Microsoft, two studies about violent video games, Iron Man 3, the Diablo III gold duping exploit introduced in the last update to the game, and some other equally delightful topics related to video games. 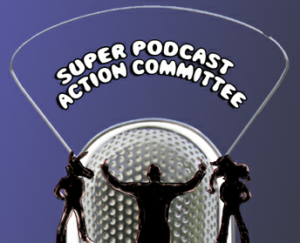 Download Episode 51 now: SuperPAC Episode 51 (1 hour, 15 minutes) 68.7 MB. Ever since Blizzard created the massive hit that is World of Warcraft, it has decided that requiring gamers to be constantly connected to the internet while playing is a good thing. Unfortunately, things have not gone as smoothly as it had hoped. If you are familiar with recent events surrounding the release of Blizzard’s latest game Diablo 3, you may recall the Error 37 issue in which users who tried to connect to Blizzard’s servers on launch day were unable to due to the lack of infrastructure. Since then, it has had fewer issues, but still some users have difficulty staying connected to the servers while playing and thus risk losing progress that has not been saved. This has some people and groups upset. Potential purchasers must know before purchase what are the requirements for the software to be used. Whether a permanent Internet connection, obligatory registration to an Internet platform including the related access to a game, or downloading additional software: all these things are essential information that the user much receive before purchase. The primary complaint is that the requirement to create and log in to Blizzard’s Battle.net service in order to play is not clearly disclosed prior to purchase. Because of this requirement to be tethered to a constant internet connection, some people are having a number of issues, even when trying to play single player modes of the game. This consumer group has given Blizzard until July 27th to respond to the complaint. 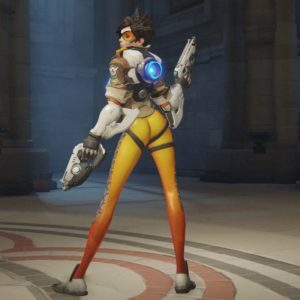 If Blizzard fails to respond or respond adequately, the group is prepared to pursue legal options against the company. Unfortunately for gamers, many game companies are moving toward the use of this kind of “always-on” DRM. To those companies, it is a necessary part of the war on piracy. However, these DRM schemes are more often a nuisance for paying customers who have to deal with unexpected and even planned server outages. What makes these types of DRM more infuriating to consumers is the fact that it not only applies to the multiplayer portions, where you can understand a potential need for an internet connection, but also to single player portions that are typically done locally. There is never a reason to require that a gamer be connected to a server at all times when playing by themselves. Hopefully as more consumer groups and consumers in general voice their dissatisfaction with such DRM schemes, more game developers will listen. We have seen many developers already making the stand that DRM is not useful or wanted. Those developers have found that treating fans with respect is a far more effective means of maximizing profits than any DRM scheme could ever be.